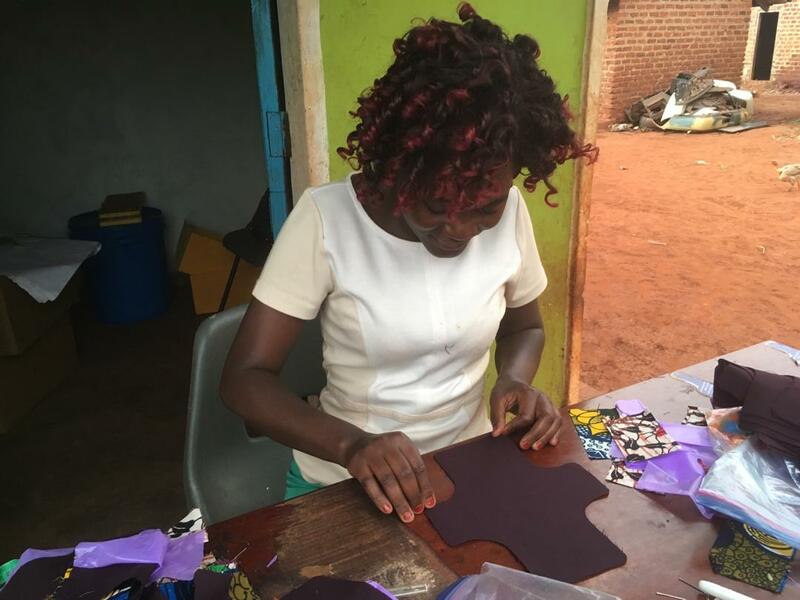 Providing young women in Uganda with the tools and training to manage their menstrual health, stay in school and thrive in the workforce. 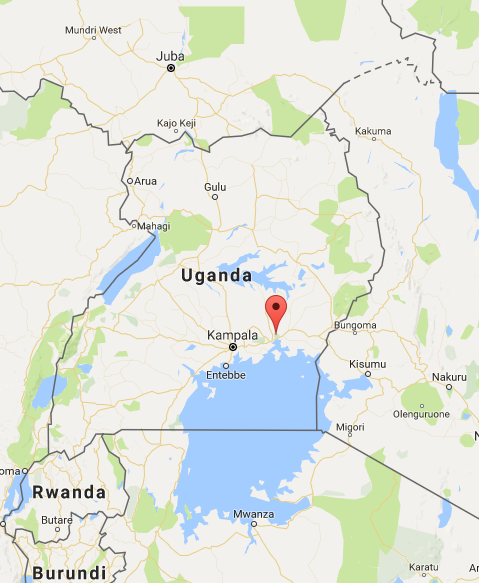 In Uganda, young women on average miss 8-24 school days per-year during their periods, due to a lack of sanitary products and safe bathroom facilities. This causes them to fall behind in school, underperform on exams, and become disadvantaged in the labor market. 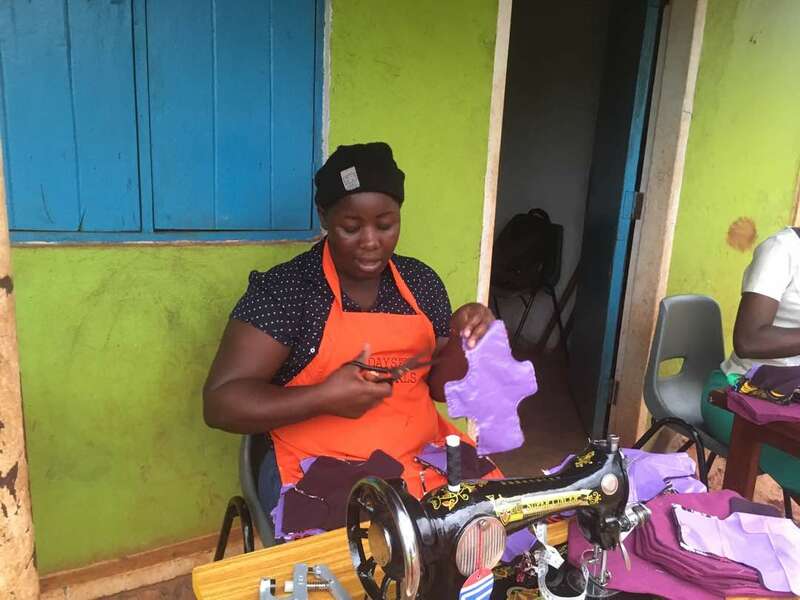 In partnership with Real Action for Community Empowerment Uganda (RACE) and Days for Girls International, TEL is tackling the many challenges that young women face during menstruation. 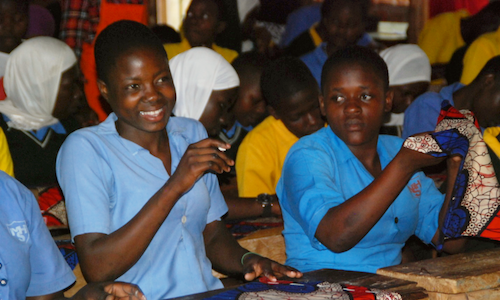 By co-designing female hygiene and WASH solutions with students, we create healthier learning environments where young women have access to the support, health products and facilities they need to stay in school and succeed. Our program consists of three components: Parent Teacher Association (PTA) supported groups to train young women in the fabrication and proper use of reusable sanitary pads; faculty-supported curricula to teach menstrual hygiene management to female students, and to teach health awareness and sensitivity to male students; and a community-supported effort to provide clean water and sanitation facilities to schools and surrounding community members. 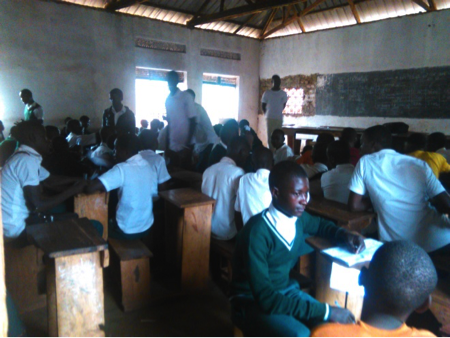 After identifying two rural schools with high rates of absenteeism among women, TEL designed qualitative surveys and multi-stakeholder focus group discussions in order for RACE to conduct in-depth needs assessments, while also encouraging students to put forth their own vision for a healthier menstrual hygiene management program. 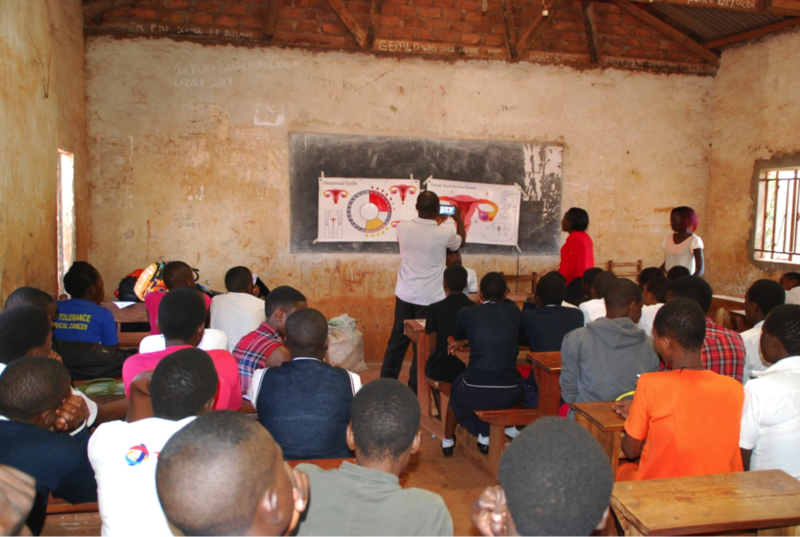 Based on the results of the qualitative surveys and focus group discussions, TEL identified appropriate interventions and menstrual hygiene management practices to incorporate into the program. 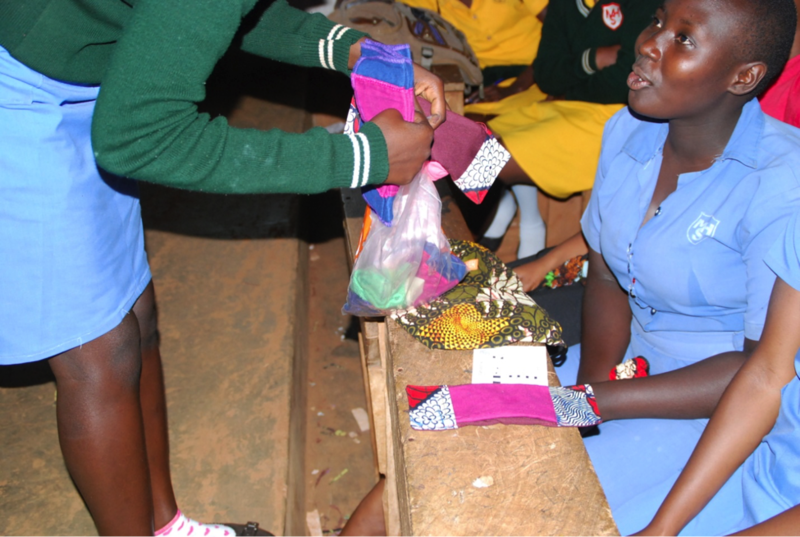 Among these is an effective, do-it-yourself intervention to create reusable menstrual pads. 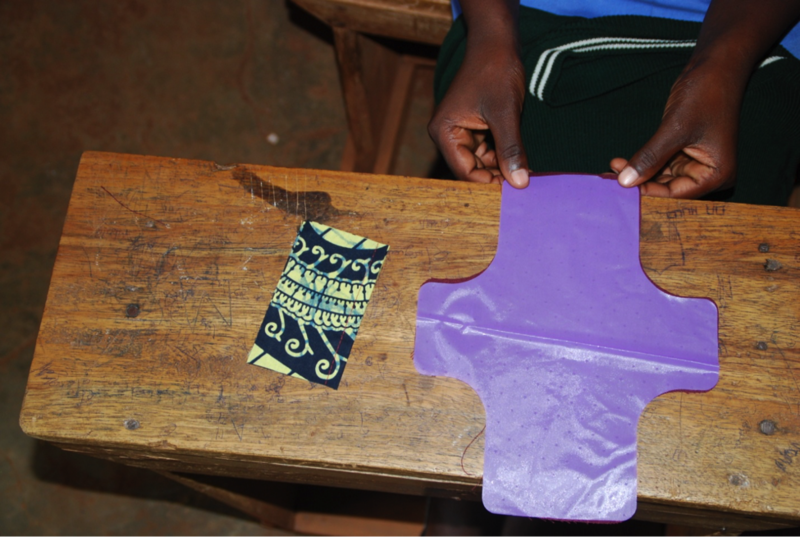 This component of the program is designed in partnership with Days for Girls International, a nonprofit organization that has supplied menstrual-pad kits and health education to more than one million women and girls in over 100 countries. 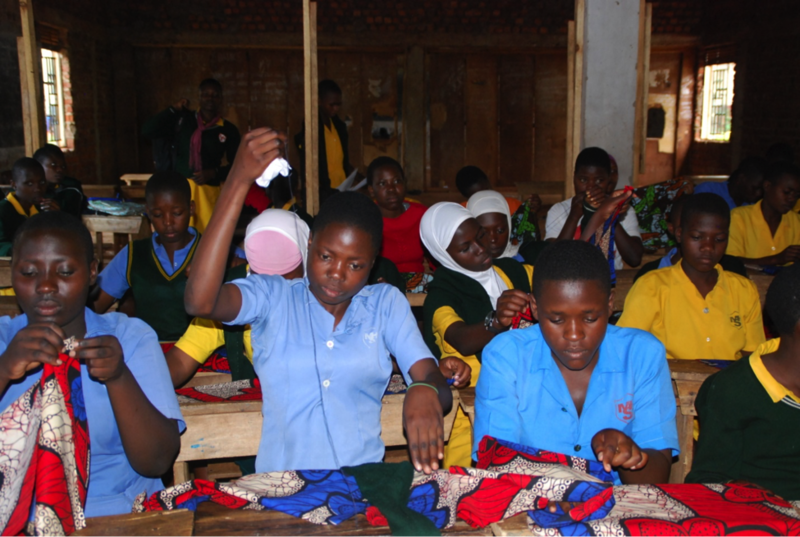 Having already provided 100 young women in Jinja with health education and training to create reusable menstrual pads, TEL and its local partners are now launching a full menstrual-hygiene management and community water & sanitation program, with generous support from the Conservation, Food & Health Foundation and the International Foundation. Stay tuned for results from our year-one impact assessment in fall 2019. A member of the RACE team making a RUMP after the Days for Girls training. 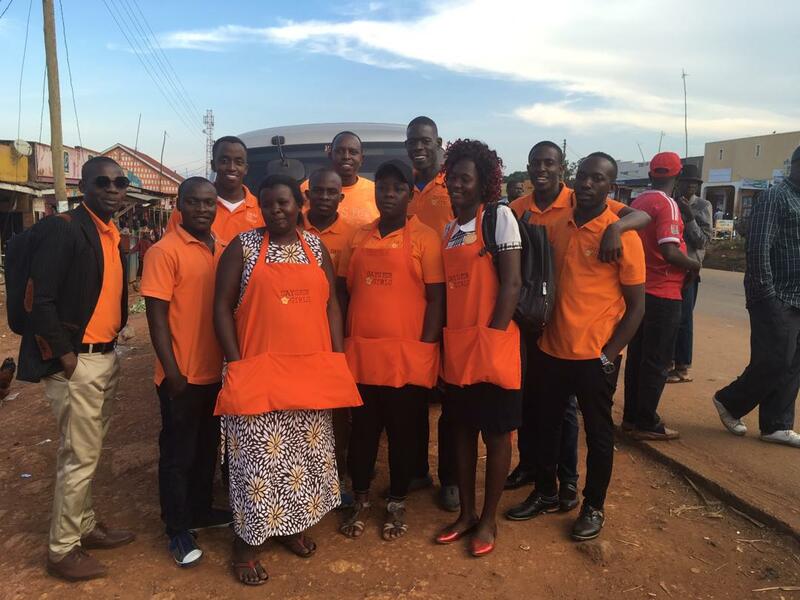 The RACE team with their new T-shirts ready to sell the RUMPS! 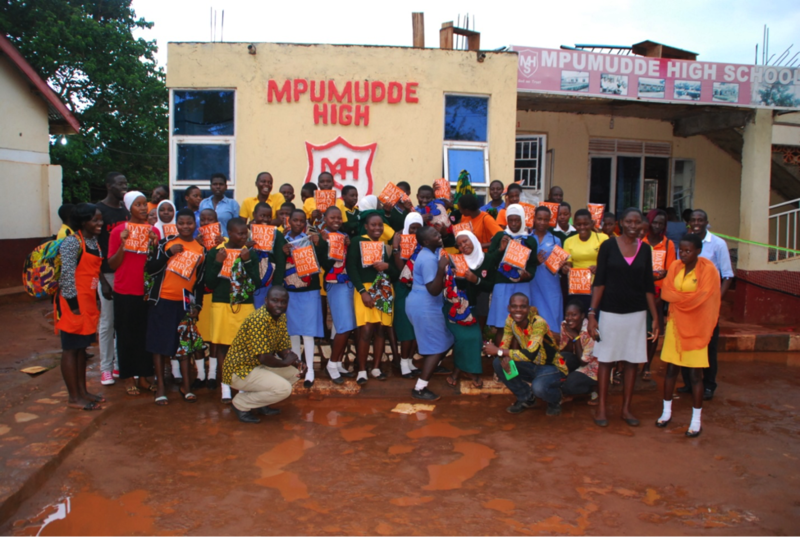 Girls at Mpumudde High School enjoying the Days for Girls training session. 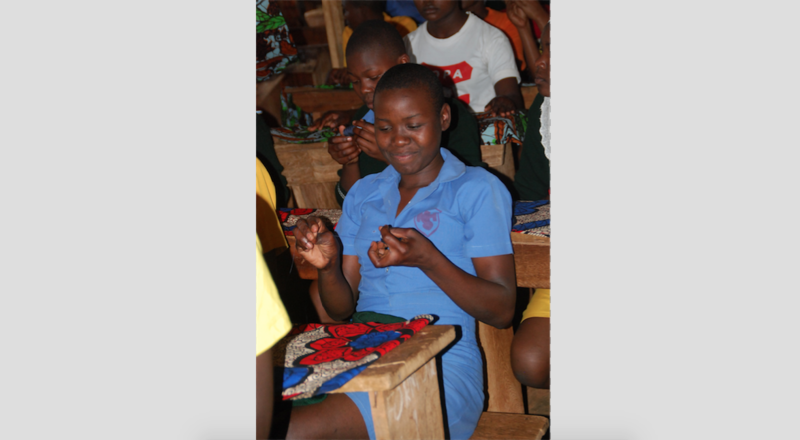 A school girl concentrates hard while assembling RUMPS. A template for the RUMPS pattern. 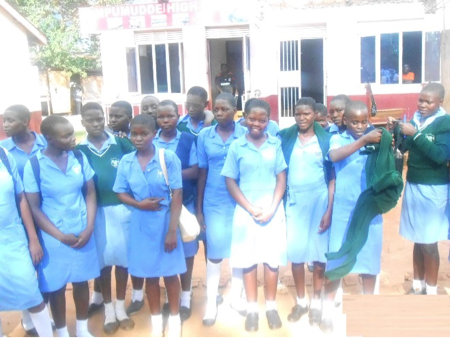 School girls at Mpumudde High School wearing their new bags. 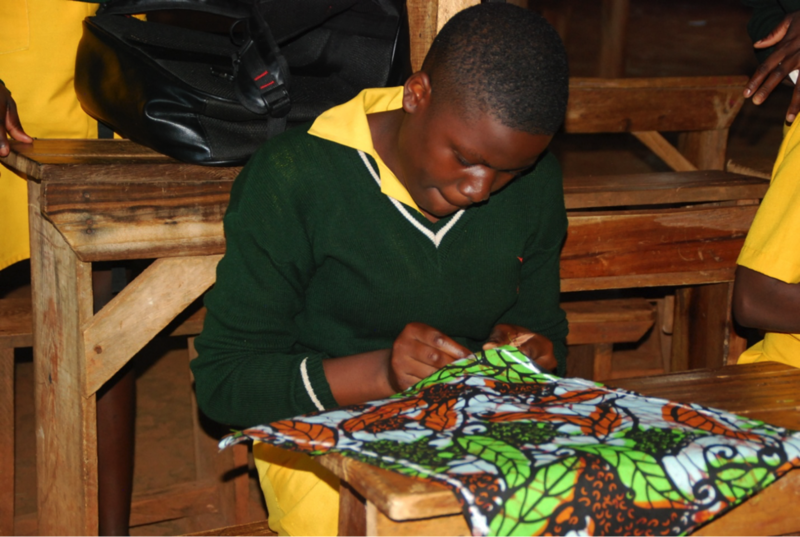 A school girl selects the fun fabrics she wants to use for her RUMPS. 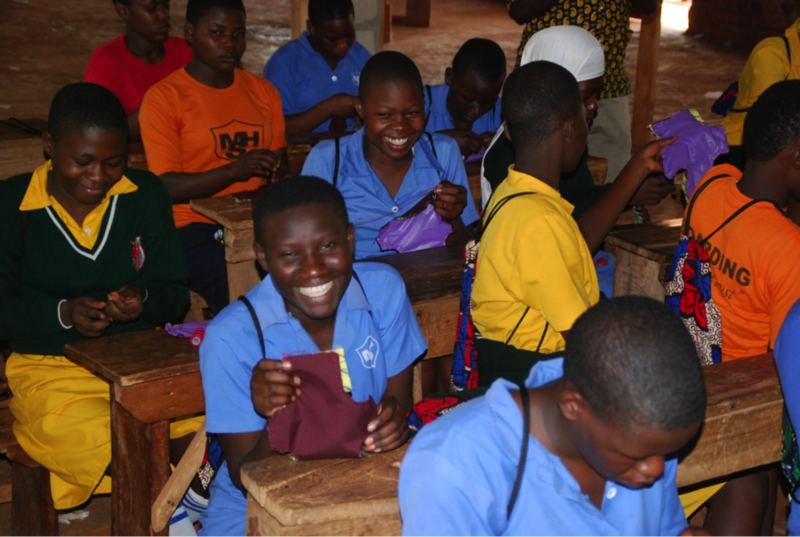 The girls proudly show their Days for Girls packs. 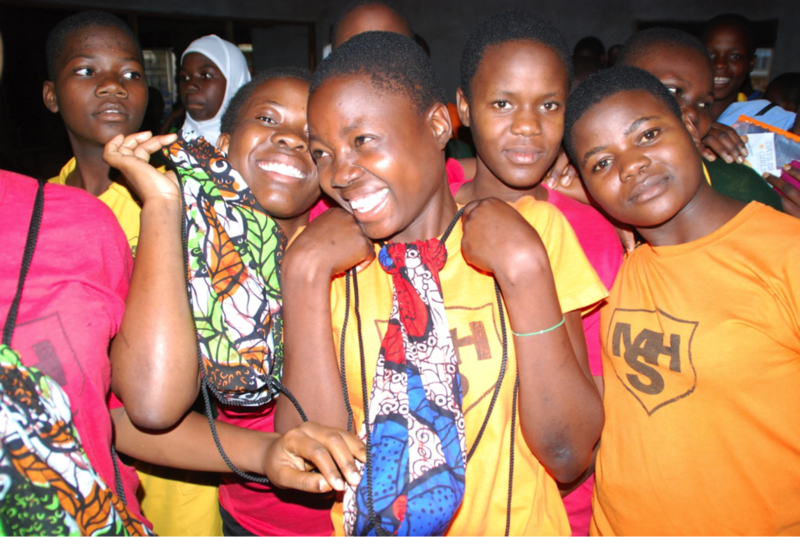 The Mpumudde girls proudly show the bags they made for their RUMPS. 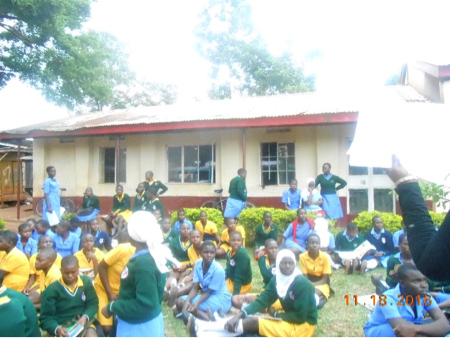 A class photo after the Days for Girls training session. 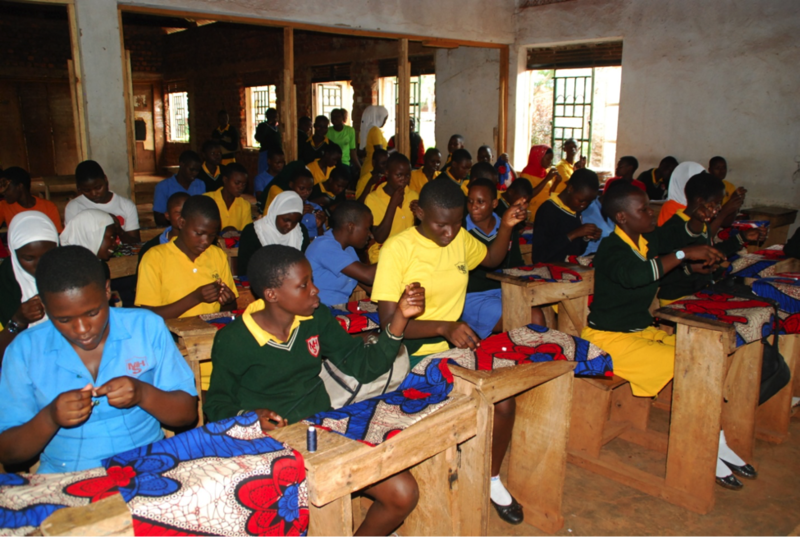 The school girls getting ready to make their own RUMPS. Threading a needle before getting down to the hard work! 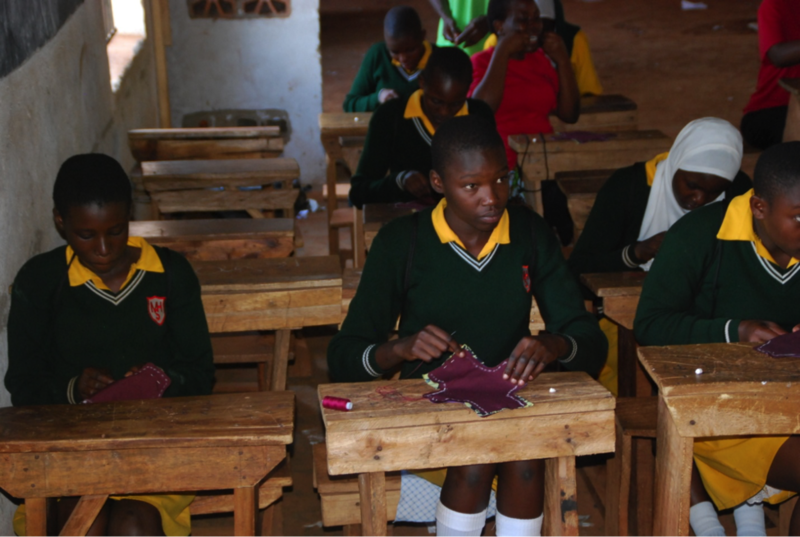 Everyone is hard at work sewing their RUMPS bags! 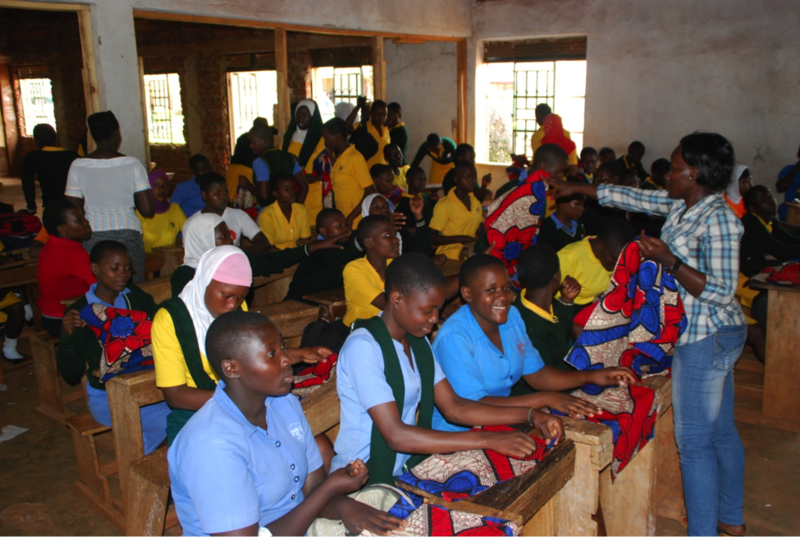 Menstrual Hygiene Health training for boys and girls at Butembe High School. 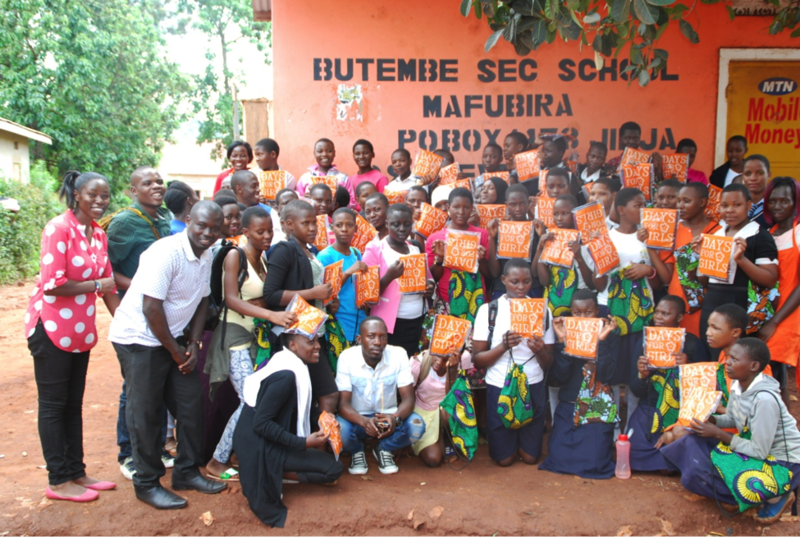 The class at Butembe High School after the Days for Girls training session. 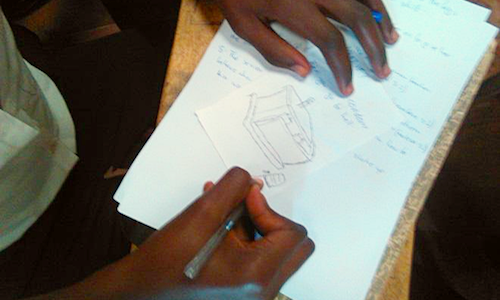 A school girl draws her ideal school sanitation facilities. 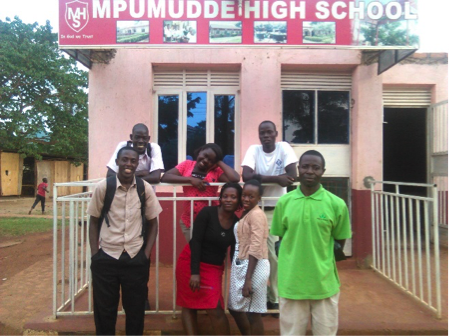 Students during the interviews and focus groups. 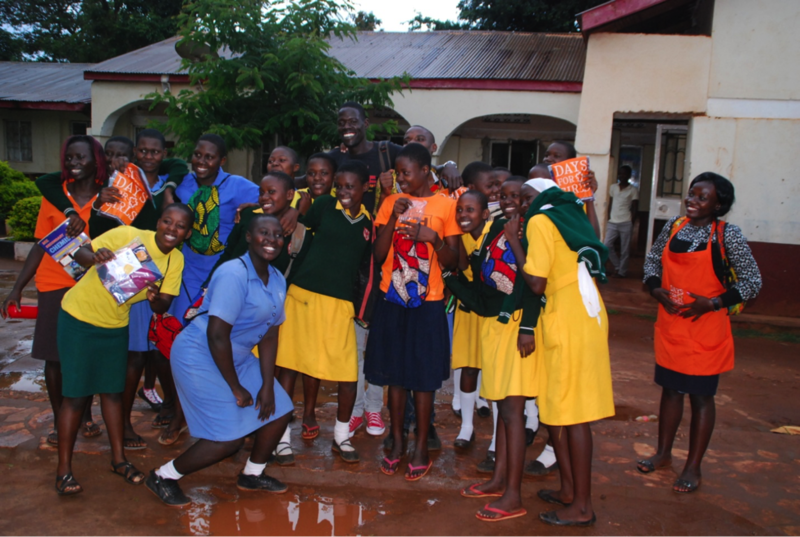 A group of the female students that were interviewed about the sanitation facilities at their school. Students taking part in the focus groups outside in the great weather. 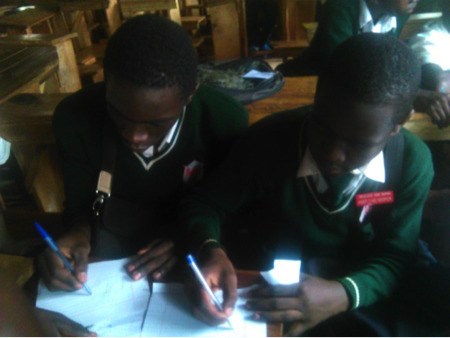 Two students drawing their ideal version of sanitation facilities for their school. 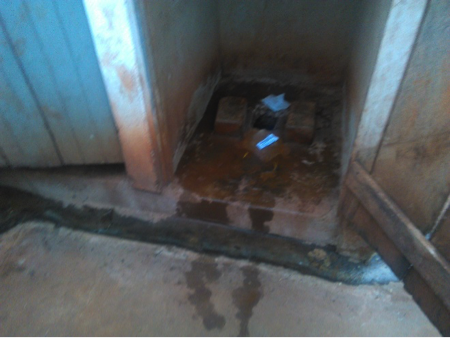 Current state of the latrines at the school. 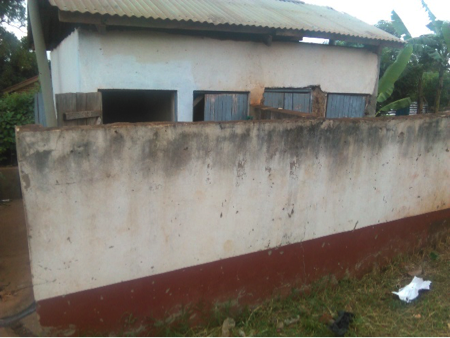 Current sanitation buildings at one of the schools. 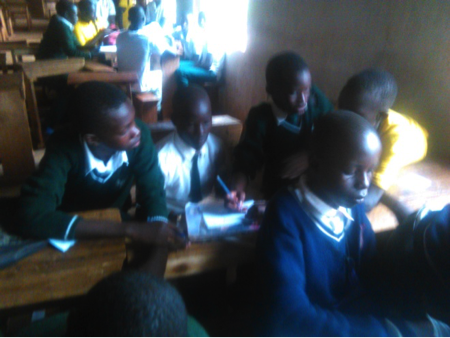 Boys at the school discussing the focus group topics.